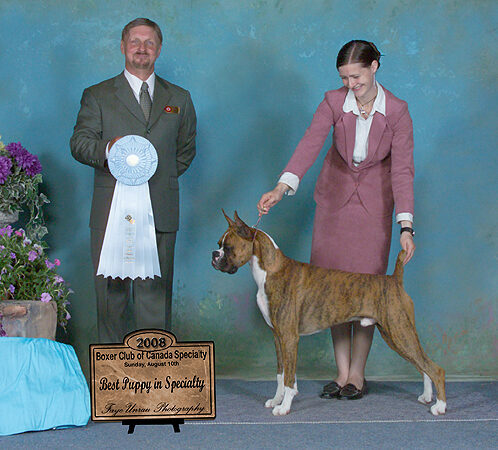 Sire: Am Ch Gemstone's Diamonds N Gems SOM SOMC "Rock"
Dam: Am Can Ch Berlane N Bravo Hear Me Roar DOM DOMC "Sabrina"
Wyatt, our sweet, soulful, loving, boy. 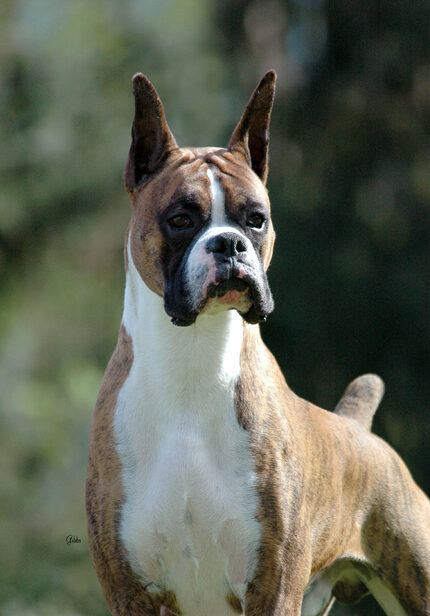 He has an excellent temperament & is a joy to be with. 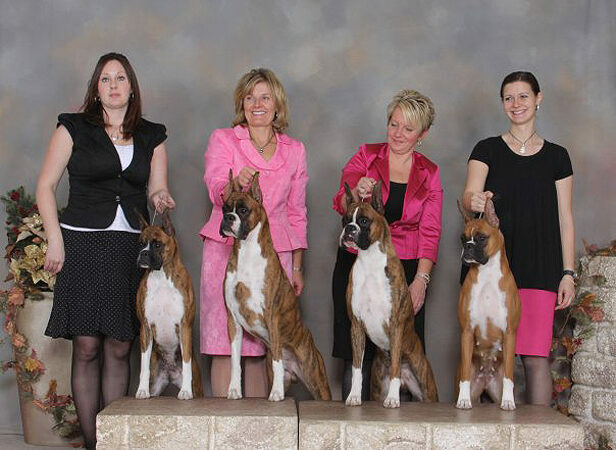 Hard copies of Wyatt's health testing are available for stud inquiries. Mrs. Patrica Leakey Brenner. Presented by James Bettis. 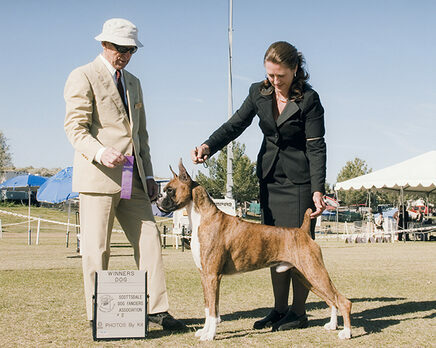 Mr. Joseph E. Gregory at the Scottsdale Dog Fanciers Association. under Ms. Peggy Beisel-McIlwaine. Presented by Wendy Bettis. 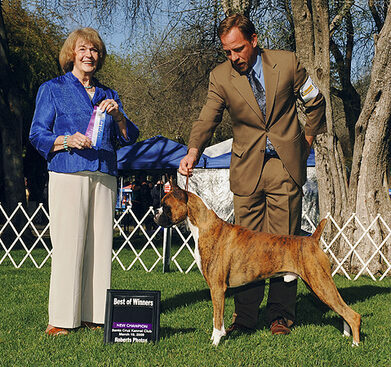 Winners Male for a 4 point Major under Mr Robert J Moore at the Dog Fanciers Association of Oregon. 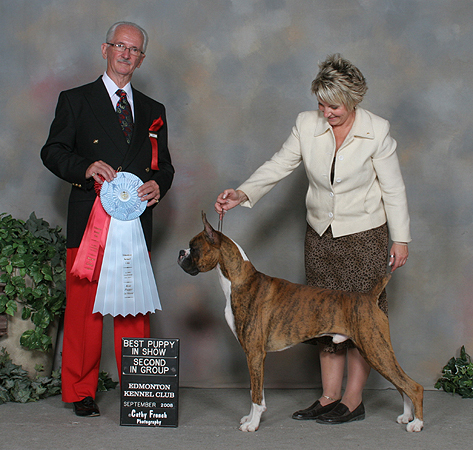 #12 Boxer In Canada 2008 during his puppy career. 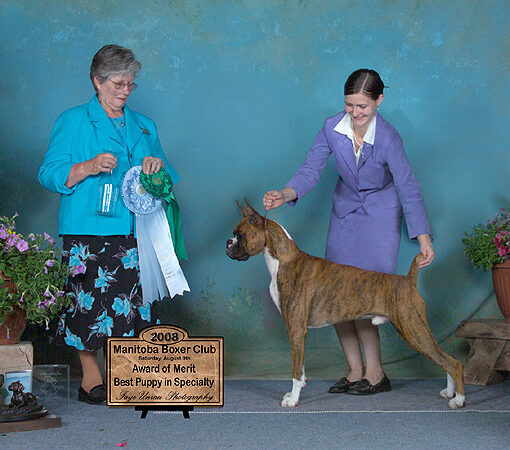 Winner of the Alberta Boxer Club's Top Puppy for 2008.
and Best Puppy In Show under Morley Thorton. Presented by Lori-Ann Fisher. 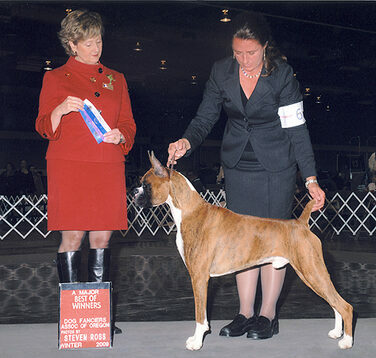 Sheila Verhulst. Presented by Crystal Davies. Thomas Alexander. Presented by Crystal Davies. 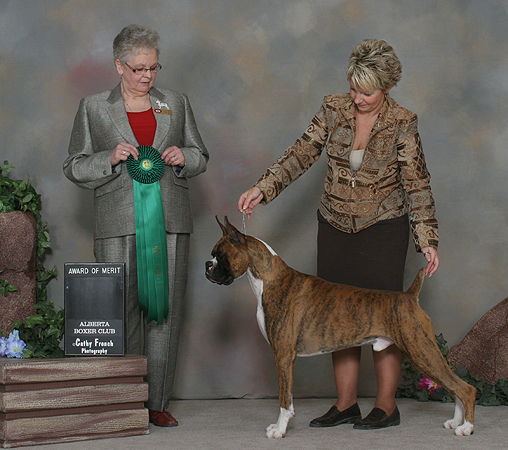 Breeder Judge Shirley Bell. Presented by Lori-Ann Fisher.